Pinterest is all about displaying all your online assets, such as website pages, YouTube videos, SlideShare presentations, Flickr Albums, and so on; neatly in one dynamic website. We help companies market their Business on Pinterest. Jyoti Zaveri and his team are successfully managing Pinterest Boards and brings years of knowledge and diverse experience to brand your organization. Pinterest gives a ready widget, ready code that you can give to your webmaster, to embed the Pinterest site in your website as shown in four examples here in this blog website. Legacy websites are useless as far as Pinterest is concerned because there are no pictures that can be Pinned. Tell your webmaster to ensure 'Pinnable' pictures on your site. I mean some old script shows the picture but you (or your site visitors) cannot Pin it. Web programmers are not even aware of this new important social media sites and they are merrily using old codes to put pictures. Try it out, if you can pin your webpage from your own website or not. 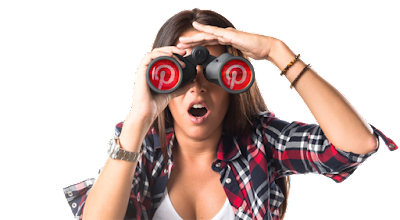 Unpleasant truth: Most so called digital marketeers are stuck with stupid Google paid Adwords and are oblivious to Pinterest marketing. Mushrooming SEO consultants are trying lure customers to for first position on Google search engine. All that is fine but have look at the new technologies and learn to get better visibility and credibility. Pinterest is an awesome tool for branding. Customers outsource their social media marketing to Jyotindra Zaveri and his DNS Team with confidence. Your digital publicity is our passion! Contact WhatsApp +91 95529 46949 or Call +1 (650) 7984175, USA. Post by Jyotindra Zaveri, Social Media Marketing and ERP Consultant & Trainer. Ex-IBM. Computer Engineer (Germany). IT Professional since….1975. Get a PIN IT button on your browser to Pin any online asset. This is available from Pinterest help center. You do not have to be an IT person to Pin on a Pinterest site. I will appreciate your views or questions, and please share your Pinterest website here in comments (if any). Topics: Emphasis on YouTube, Twitter, and Instagram; and other digital platforms which are so important for marketing your products / Services. When? Wednesday, 13 July. 8:00 pm. To 10:00 pm. (India time) (Wednesday morning US Eastern time). Fees: ₹700/- per person. Early bird: ₹500/- per person. Register on or before 8 July. After 9 July ₹700/-. Maximum 20 people. First-come-first-served basis. For whom? For Social media users, for those who have already started using Facebook, etc., but want to learn advance features. Discuss issues and get expert advice. Pay to: Jyotindra Zaveri. Deposit in IDBI Bank. Inform your name, mobile number, amount, by WhatsApp on +91 9552946949 OR +1 (650) 798-4175. We will message you the bank details. Many more testimonials click here to view PlayList. Click http://appearoo.com/zaveri to get list of twenty digital platforms that you learn. Let us know which specific you want to learn more: Basic or advance level.